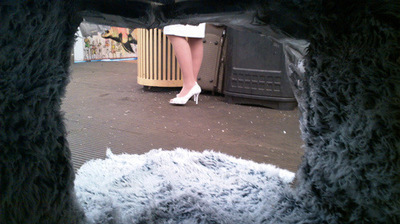 At the Livesystems booth at the 2011 Fountain New York Art fair, I and my partner, Jason Robert Bell, unveiled a new immersive sculptural product called the In2it. 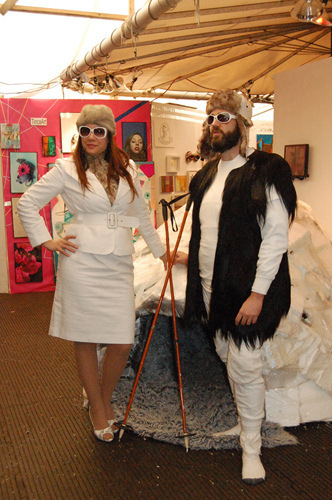 Dressed in my white business suit, I pitched audience members on the many amenities of this air conditioned igloo, offering it as a time share opportunity in which buyers could have their own In2its built anywhere in the world. 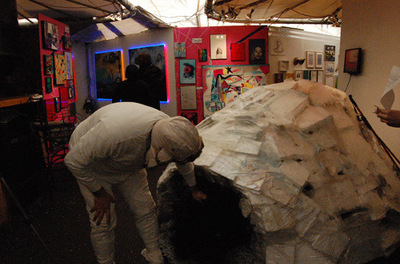 Jason was present inside the igloo dressed as an Eskimo shaman, helping visitors to ascertain the answers to life’s riddles. 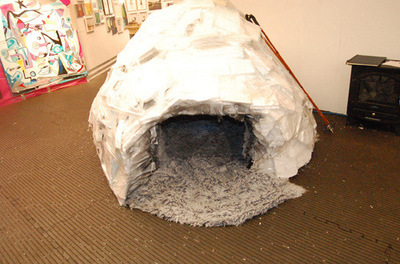 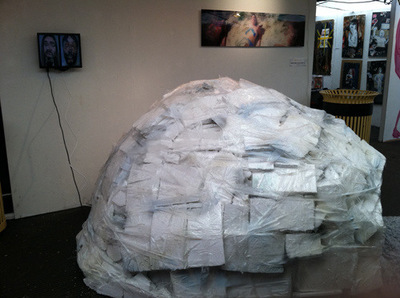 The sales pitch for the new product was that “upon entering its frosty white womb, one would be immediately able to intuit the right path to take in life.” The overall goal of this piece is an experiment in marketing a transcendental experience within the economic parameters of a New York art fair.